Greeting, dear readers! I hope your week has been off to a great start! For today's blog post, I wanted to share one of my recent purchases with you. 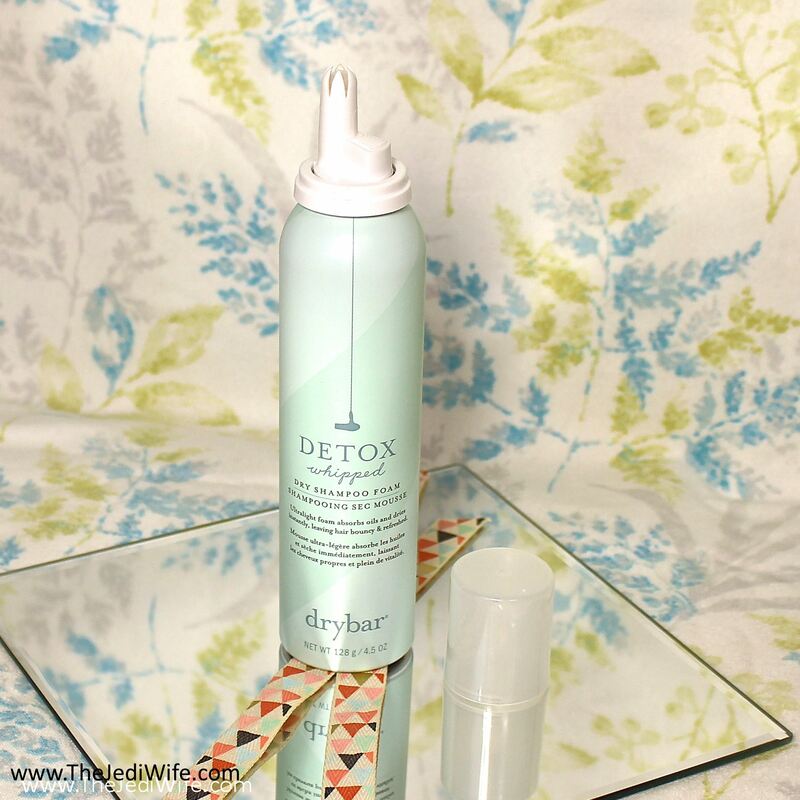 I am normally a fan of Drybar's hair products- the quality of the products themselves is usually fantastic, and I really enjoy the light fragrance they add to their products. I've been using cheaper dry shampoo brands in my hair the past several months to extend the life of my shampooing, and while there hasn't been anything wrong with what I've been using, I was really excited to try out a dry shampoo foam! As the name implies, it definitely comes out of the dispenser with a foam consistency. It is scented with the Drybar Blanc scent with notes of coconut, vanilla, and amber. It smells so good! It contains volcanic ash to attract dirt and debris like a magnet so that they can be rinsed out easily with your next shampoo. It also contains plant proteins to strengthen your hair, preventing breakage. The final key ingredient is Vitamin B5, added to give your hair slip and manageability to reduce friction while brushing and just supporting the health of your hair overall. It sounds pretty amazing, doesn't it? Well, dear readers, as fantastic as this sounds, my experience with this dry shampoo foam was less than stellar. In fact, I hated it with a passion and have already returned my bottle to Sephora. So how did my experience with a product that in theory should have been fantastic go so horribly wrong? Let me fill you in! To start out, let me tell you how I used this dry shampoo. I had washed my hair on Day 1, and while my hair was in pretty good shape by Day 2, I like to use a little dry shampoo at this point to keep future oil production from building up and getting out of hand. After shaking well, per the bottle directions, I then dispensed a small amount onto the palm of my hand. I then used my fingers to apply the foam to the roots of my hair and massaged gently into my scalp until the foam disappeared, also as directed by the directions. The final result was a disgusting mess I have NEVER experiences with any of the variety of dry shampoo brands before. In spite of using a very small amount, my hair was suddenly very flat and it felt like an oil slick from not washing it in a long time. While I kept the foam primarily at my roots, some product did inevitable go down the length of my hair, leaving behind a stringy mess. I was so shocked from my experience with this, I had to try it a second time with an even smaller amount, which was a feat attempting to get as little product out of the container as possible, all with the same stringy + oil slick-looking results. Because I like to use dry shampoos to save some time so I can sleep just a little more, I did not want to give it a third try and have to actually wash my hair in the shower yet again. I don't know exactly where Drybar went wrong with this product, but if you're looking for a new dry shampoo, you may want to proceed with caution before blowing $24 on this. As much as I have enjoyed other Drybar products, this one was a total flop for me and a product I would recommend others avoid. Obviously, I can only base this on my experience with this product and experiences may vary for others. Water, Alcohol Denat., Aluminum Starch Octenylsuccinate, Isobutane, Propane, Cocamidopropyl Betaine, Cetearyl Alcohol, Volcanic Ash, Hydrolyzed Wheat Protein, Hydrolyzed Wheat Starch, Panthenol, Lauryl Methyl Gluceth-10 Hydroxypropyldimonium Chloride, Steapyrium Chloride, PEG-12 Dimethicone, Polyquaternium-7, Parfum (Fragrance), Acrylates Copolymer, Magnesium Carbonate, Sodium Benzoate, Potassium Sorbate, Phenoxyethanol, Coumarin. 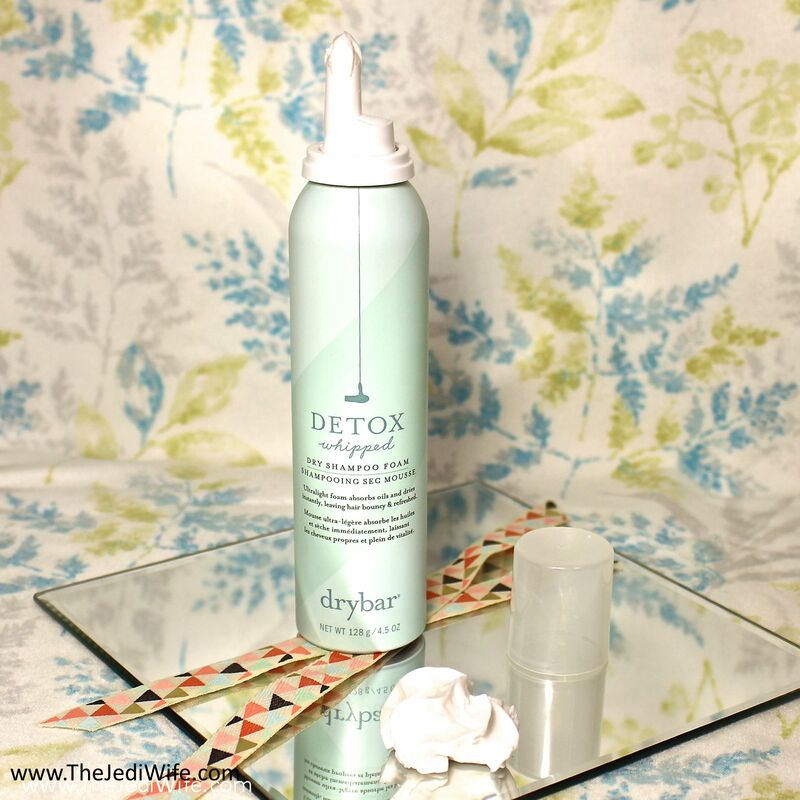 Have you tried the Drybar Detox Whipped Dry Shampoo Foam? I'd love to hear if you're had a great experience or if your experience was similar to mine! Also, what Drybar products do you like? 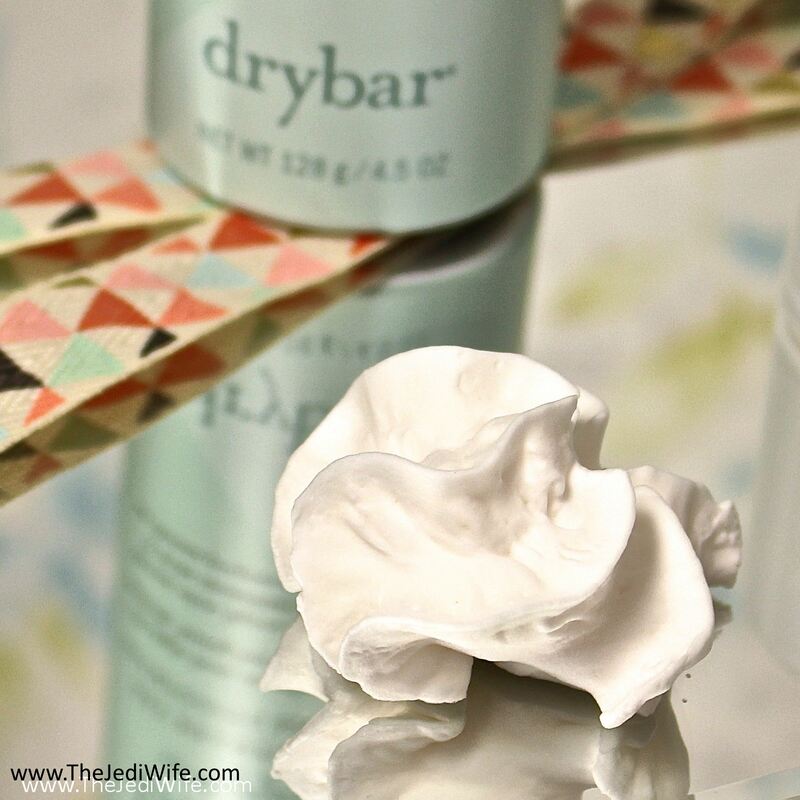 I've never tried the Dry Bar but sounds like I should avoid this product. I've dried the other Dry Bar product, but didn't know they had a foam. That sounds odd. I'll have to pass it up if I ever come across it. you know, it looks really thick and heavy. It looks so thick that you're experience doesn't surprise me too much, but man what a disappointment for you! Dang I had high hopes! I still haven't used a dry shampoo TBH but I have a friend who swears by it so I'm hoping to get her some for her birthday coming up! I don't use dry shampoo and this makes me afraid to try it ever again. I've tried a few but usually feel like my hair isn't clean after but this sounds pretty awful. Bummer that it was such a flop! It does look really thick! Booooo. I was so curious about this product. A foam with that delicious scent? Such a failure. Such a bummer that you don't like it. I'm not sure how I feel about the foam consistency...doesn't seem "dry" ?? Thanks for the honest review! Eep, I've had my eye on this thing for a while, but this review is making me think twice. Good thing Sephora has a good return policy! I rarely use dry shampoo, but this doesn’t seem like it would work with my hair texture. Dry Shampoo foam....weird!!!! I love dry shampoo for my bangs but seeing how this didn't have a good drying aspect, I think I will skip. Don't need to weigh my bangs down.